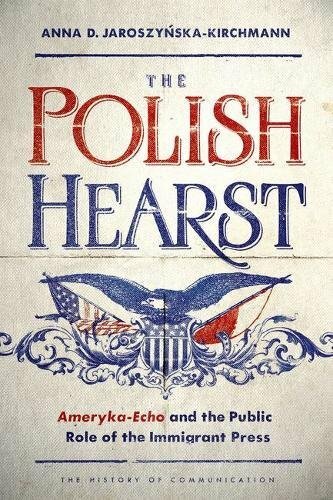 Arriving in the U.S. in 1883, typesetter Antoni A. Paryski founded a publishing empire that earned him the nickname "The Polish Hearst." His weekly Ameryka-Echo became a defining publication in the international Polish diaspora and its much-read letters section a public sphere for immigrants to come together as a community to discuss issues in their own language. Anna D. Jaroszynska-Kirchmann mines seven decades' worth of thoughts expressed by Ameryka-Echo readers to chronicle the ethnic press's long-overlooked role in the immigrant experience. Open and unedited debate harkened back to homegrown journalistic traditions, and The Polish Hearst opens the door on the nuances of an editorial philosophy that cultivated readers as important content creators. As Jaroszynska-Kirchmann shows, ethnic publications in the process forged immigrant social networks and pushed notions of education and self-improvement throughout Polonia.